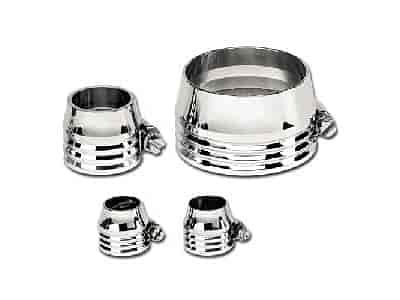 67425 - Billet Specialties Hose Clamps is rated 4.0 out of 5 by 1. Rated 4 out of 5 by Manny and Sues Ride from I love the look and how easy they are to instal! We have a new '57 Chevy Bel Air wife and I are now in the final stages of a complete frame off restoration. These hose clamps look great in our engine compartment and put a nice classy touch to it.